Manufactured in Japon from 1968 until 0. This is an evolution of the Mamiyaflex C22. 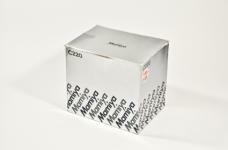 The lens ranges goes from 55 mm to 250 mm through 65, 80, 105, 135, 180 mm, ensuring a large coverage. All these optics are coupled to the same type of Seiko shutter as that mounted on the standard 80 mm. The chrome lenses are the oldest while the black versions are the latest. 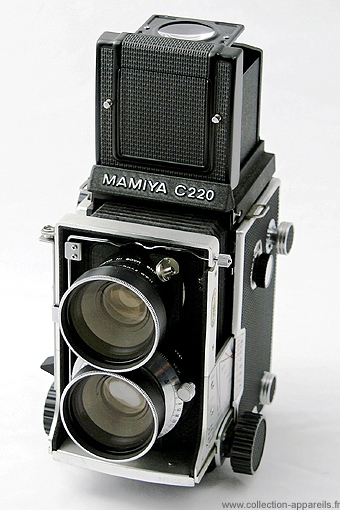 The 220 is the version with the characteristics of the C, without evolving like the C330. 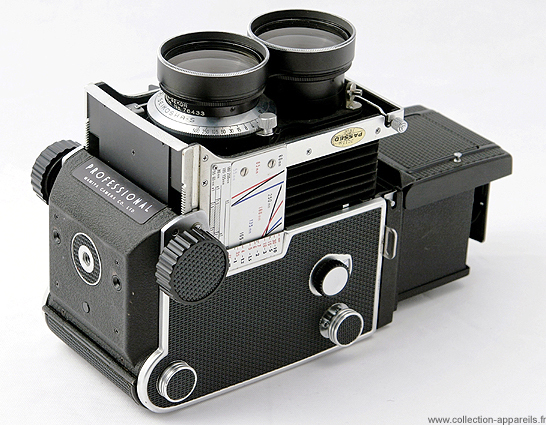 There was a 220F, ultimate variant with bigger film winding button. 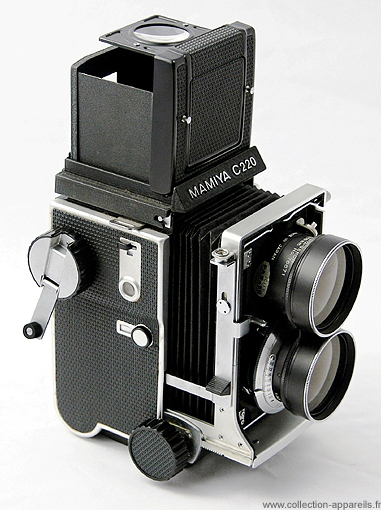 The ground glasses are not interchangeable, the film is wound using a small crank, the backs are not removable, the cocking is directly on the lens block and there is only one trigger on the camera. The camera case is simpler, more compact and therefore a little less heavy than for a C330. Nevertheless, it remains difficult to use it for the photo reportage and action given its limited ergonomics and its weight.